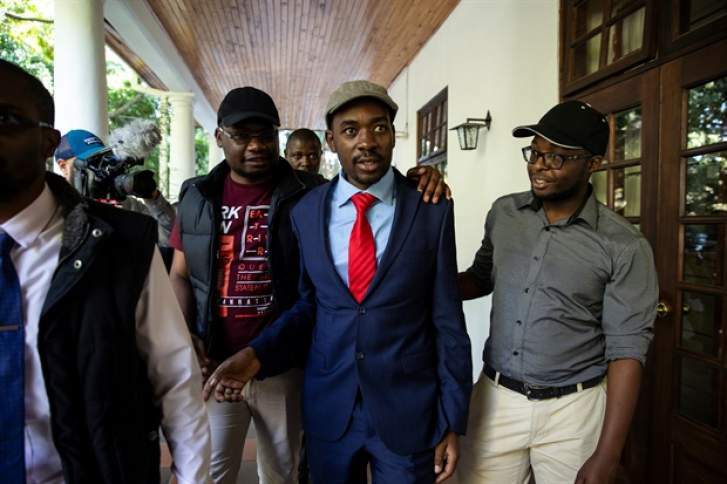 MDC leader Nelson Chamisa risks arrest if his opposition party proceeds with plans to inaugurate him as the 'People's President', a cabinet minister has warned. "The issue of Chamisa is very sad," justice minister Ziyambi Ziyambi told NewZimbabwe.com in a recent interview. "As a lawyer, he should know that as soon as the State President has been dully inaugurated, you cannot go around and claim to be the president; in fact, that is treason." "If he (Chamisa) continues with the swear- in ceremony he will be committing an offence and will be arrested," said minister Ziyambi. "Whoever is advising him to do that is advising him to break our own laws as a country." Chamisa has refused to recognise his defeat by President Emmerson Mnangagwa in the crunch July 30 elections. Mnangagwa's victory was confirmed by a full bench of the Constitutional Court but Chamisa says he respects the apex court but profoundly disagrees with the decision.